In this undated photo, Osama bin Laden is seen in Afghanistan. President Bush said he didn't care how Osama bin Laden was brought to justice. Just get him. That was back in 2001, when Bush used bravado to lead the nation past the shock of the attacks on the World Trade Center, Pentagon and Pennsylvania. CAIRO, Egypt — Al-Qaida chief Osama bin Laden urged Muslims to launch a jihad against Israel and condemned Arab governments as allies of the Jewish state in a new message aimed at harnessing anger in the Mideast over the Gaza offensive. Bin Laden spoke in an audiotape posted Wednesday on Islamic militant Web sites where al-Qaida usually issues its messages. It was his first tape since May and came nearly three weeks after Israel started its campaign against Gaza's militant Hamas rulers. The al-Qaida leader also vowed that the terror network would open "new fronts" against the United States and its allies beyond Iraq and Afghanistan. He said President-elect Barack Obama has received a "heavy inheritance" from George W. Bush — two wars and "the collapse of the economy," which he said will render the United States unable to sustain a long fight against the mujahedeen, or holy warriors. "There is only one strong way to bring the return of Al-Aqsa and Palestine, and that is jihad in the path of God," bin Laden said in the 22-minute audiotape, referring to the revered Al-Aqsa Mosque in Jerusalem. "The duty is to urge people to jihad and to enlist the youth into jihad brigades." "Muslim nation, you are capable of defeating the Zionist entity with your popular capabilities and your great hidden strength — without the support of (Arab) leaders and despite the fact that most of (the leaders) stand in the barracks of the Crusader-Zionist alliance," bin Laden said. The authenticity of the tape could not be independently confirmed, but the voice resembled that of bin Laden in previous messages. The tape, entitled "a call for jihad to stop the aggression on Gaza," was played over a still picture of bin Laden and the Al-Aqsa Mosque in Jerusalem's Old City, one of Islam's holiest sites. But there were no English subtitles and flashy production effects that usually accompany such messages. That suggested the message had been hastily put together and issued to best exploit anger in the region over the Gaza offensive, which Palestinian medical officials say has killed more than 940 Palestinians, half of them civilians. Israel said the offensive aims to halt rocket fire from Gaza against Israeli towns. 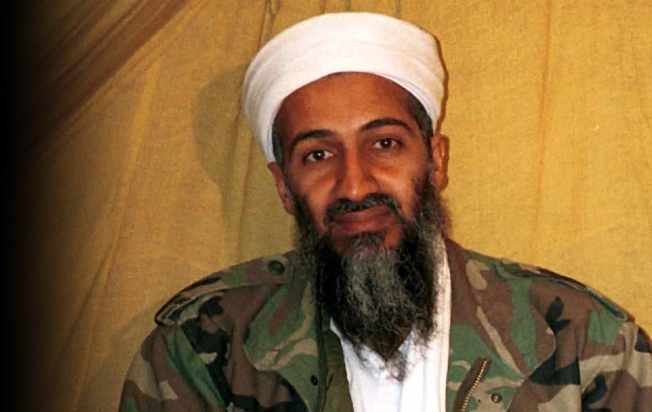 Bin Laden accused Arab leaders of "avoiding their responsibility" to liberate Palestine. "If you are not convinced to fight, then open the way to those who are convinced," he said. Bin Laden and his lieutenants frequently use the Palestinian issue to try to rally support for al-Qaida and often call for holy war to free Jerusalem. But there has been little sign that the terror group has carried out attacks in Israel. Bin Laden made no direct reference to Hamas, which seized power in Gaza in 2007. Al-Qaida leaders have frequently criticized the Palestinian militant group for participating in elections and failing to seriously pursue jihad against Israel. The al-Qaida leader also said the world economic crisis was a sign that the United States' power was falling apart, boasting that "the Islamic nation's jihad is one of the main causes of these destructive results for our enemies." Pointing to wars in Afghanistan and Iraq since the Sept. 11, 2001 attacks, bin Laden said al-Qaida was prepared to fight "for seven more years, and seven more after that, then seven more." "We are on the way to opening new fronts," he said, urging Muslims to "join hands with the mujahedeen to continue the jihad against the enemy, to continue bleeding them on these two fronts and on the others that are open to you." "The question is, can America continue the war against us for several more decades? The reports and signs show us otherwise," he said. He said Bush had left his successor "with a heavy inheritance," forcing Obama to choose between withdrawing from the wars or continuing. "If he withdraws from the war, it is a military defeat. If he continues, he drowns in economic crisis," bin Laden said. It was the first time bin Laden have spoken of Obama, though he did not mention him by name. Bin Laden's top deputy Ayman al-Zawahri has previously spoken against Obama, warning Muslims he will not bring major change in U.S. policies.